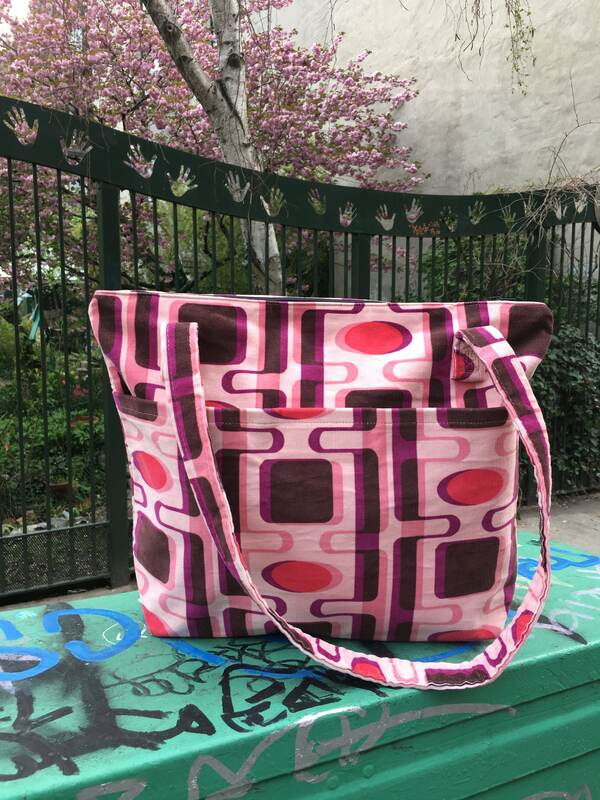 This is a large lightweight shoulder tote bag with a top zipper closure. The interior of the bag is lined with a water repellant canvas and features one large pocket. 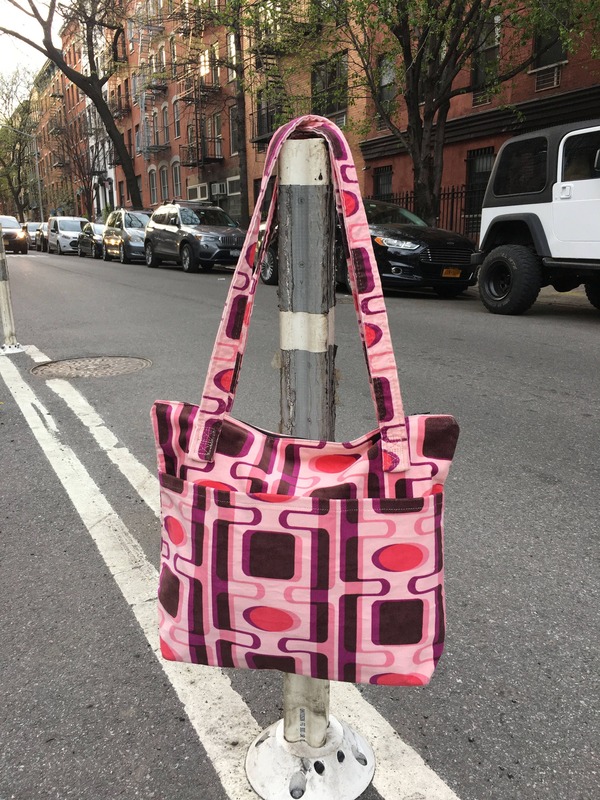 The pink and purple soft corduroy fabric has a mid century modern inspired design and features one large pocket with a velcro closure. This is a great casual daytime bag that carries a lot of stuff. Perfect for school or the office.